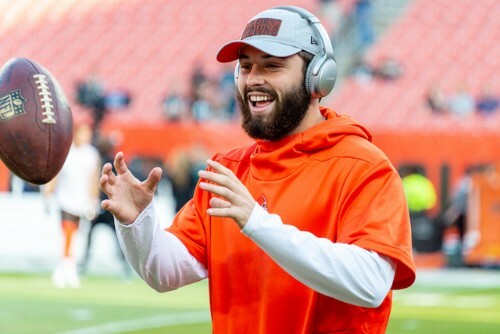 I’m a Raiders fan, but I’m also a Baker Mayfield fan, so this weekend is gonna be tough. I think that Mayfield has a great chance to show us what he’s made of in his first NFL start, so he has a very good chance of returning on the ridiculously low $5,300 investment you have to put down for him. This is going to be a very different to how this matchup looked 7 days ago. With Jimmy Garoppolo out, the 49ers look significantly less scary on offense, and their defense isn’t anything to be scared of either. The downgraded 49ers should put up little resistance, but the Chargers utilise their RB’s really well in the passing game too so Rivers should have more than enough usage through the air, with some dominant weapons, particularly Keenan Allen. 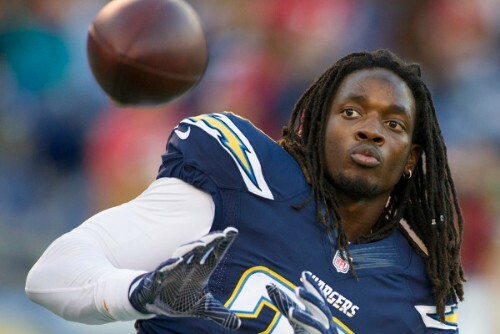 I already told you why this matchup is good for the Chargers, and I alluded to it, but let me remind you how game-flow proof Melvin Gordon is. He has always been formidable on the ground, but this season they’re starting to really expand his usage in the pass game, and getting the ball to him is becoming a primary part of the air-game. This will be a huge help when they are trying to run the score up, when they’re running the clock down, or when they’re in a tight game. He’ll be getting work in every situation, and for $8,300 he’s worth the big price, if you can find a couple of cheaper options to save up for him. I don’t know why he’s only $4,800, but Marshawn Lynch is seemingly being given away at that price. Cleveland’s Defense has looked strong early on in the season, but it’s objectively better against the pass, which will keep the running game active. Any time the carries go Lynch’s way, he will make something happen. 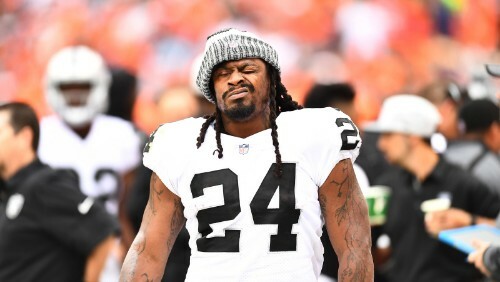 The Raiders have been excellent in the first 3 quarters every week this season, so even if they screw it up at the end they will have the game-flow for Beast Mode to get the yardage you expect that gives him his floor, and he will have Touchdown upside all game long. Before I say anything about Shepard, I want to tell you all that Odell Beckham Jr is a great play this week, he has serious serious upside every single week, and this matchup is ideal for all receiving options in the Giants lineup – so if you can afford him, get him. 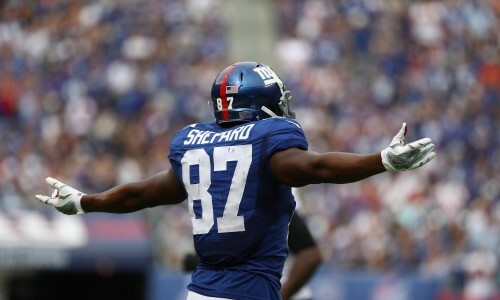 Most weeks there is a notable target in the shape of Evan Engram, but he is out this week, at least, which means that the targets will be spread between OBJ, Saquon and Sterling Shepard. The latter is often forgotten, just like he was in the Draft Kings pricing this week – at only $4,900 they are just giving you free upside. It isn’t just a bargain in general, but this week in particular you have a high chance for him to return on that investment. The Giants are more than capable of putting this struggling defense to work, in what could actually turn into yet another Saints shootout. This is one of those picks where you have to be on your phone on Sunday ready to make an adjustment based on whether Baldwin is starting or out. 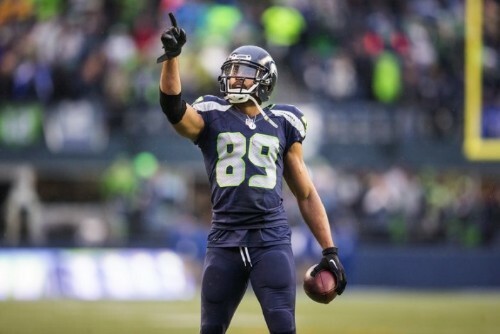 If you don’t know you’re going to be able to tinker on Sunday, or if you’re not hugely into reading reports then I advise you look elsewhere – but, to put in the simplest terms possible, if Doug Baldwin starts (and only costs $5,500) you have to start him. The Seahawks have been trying to scrape by without him, but now that he is looking to return I expect Wilson to go to him a lot. It could be a pretty fun game to watch this week for all the wrong reasons, as Arizona face Seattle, but I think Baldwin could have a big bounceback game. If he isn’t going to play you could even just switch him for Sterling Shepard or someone last minute; if you have $100 left over with Baldwin you could even bring in Amari Cooper. If you want a cheap wide receiver, there is one thing that is essential, upside. 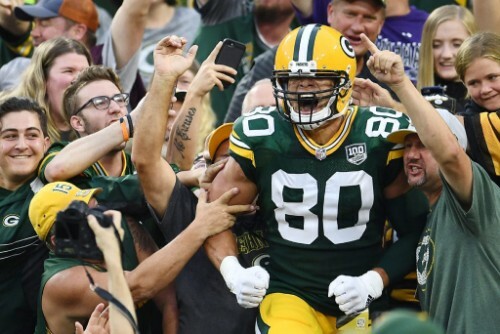 In DFS you aren’t looking for a receiver who you think might get 3 or 4 catches and hopefully a few dozen yards to go with it – you want Touchdowns and volume and points; as many as you can get. This week, Mike Williams is a great target for that. I realise that I have now listed three different Chargers throughout this list, but the 49ers really are in trouble right now, without Garoppolo. Mike Williams is a very good red zone receiver who can make contested catches as well as having decent route running ability, and he is one of the only healthy receiving options in the team. 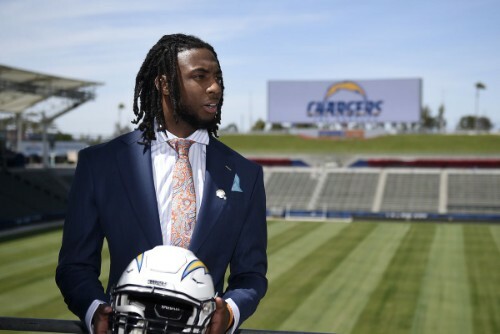 If Keenan Allen isn’t playing, Williams becomes practically a must start – especially at a cost of just $4,500 – but even if the main man is on the field, Mike Williams has the opportunity to score a Touchdown any time Rivers drops back into the pocket. The newly added weapon to the Packers offense is a famously TD-oriented fantasy pick every week, but if you’re ever going to hope for some work it should be against the Buffalo Bills. The fresh-off-a-huge-win mentality is going to have Josh Allen and the team coming out firing on all cylinders, and they’re going to be facing Aaron Rodgers – a slightly injured Aaron Rodgers, but Aaron is Aaron. Graham could easily score 4 fantasy points, or he could score 15, and anywhere in between; but for just $4,500, he’s got the upside that you might be looking for. This is one of the picks that you probably don’t want to make, but it’s hard to talk yourself out of it. 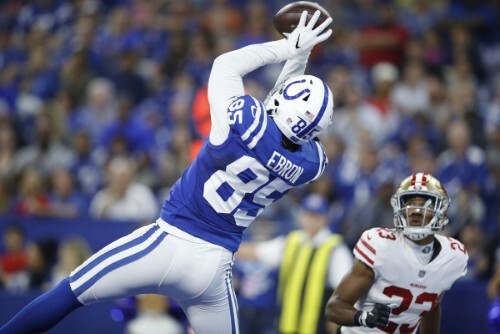 For as long as Jack Doyle is out, Ebron is an essential part of the Colts’ offense, and he only costs $3,600. If he scores, he’s returned on investment, if he brings in 50-odd yards on a handful of catches, he’s returned on investment. The Texans aren’t the easiest opponent on defense, that’s for sure, but they have been letting up some points to the position this year, and Ebron should be a very serviceable option this week, and every week until Doyle is back on the active list. On to everybody’s favourite part of my article, deciding the best defensive units for the week. 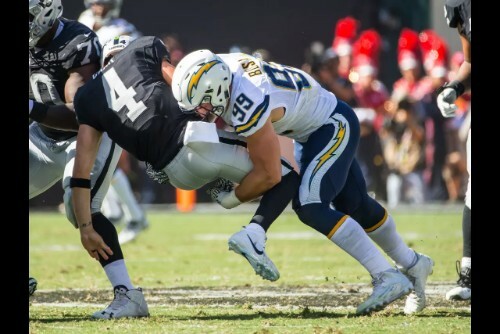 This week I really like the Chargers defense at $3,900, against C.J Beatherd, who is coming in to replace Jimmy Garoppolo. Everyone was billing the Niners to be a top competition this year for any opponent, but after Jimmy G’s ACL tear, the team doesn’t look so handsome. 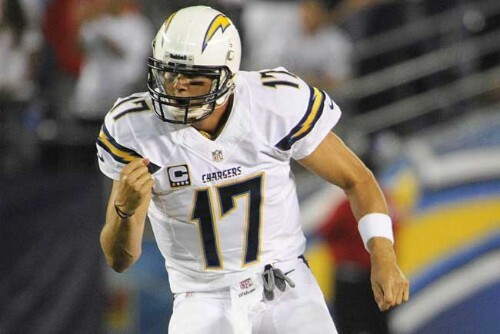 The Chargers are facing them in the first game since the QB injury, so they have the first chance to put the severely downgraded San Francisco team to the test. I think it could turn ugly.